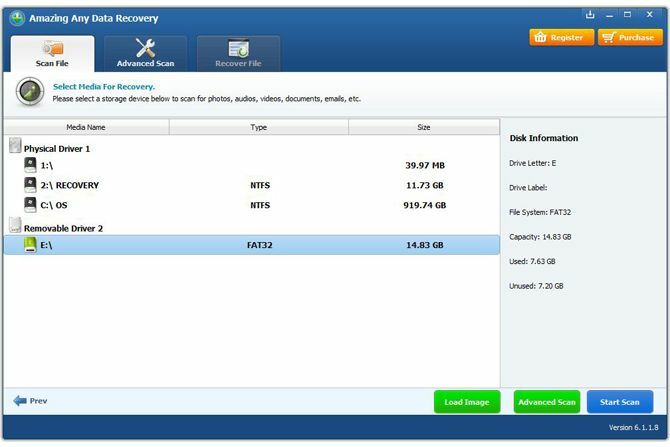 Amazing Any Data Recovery can recover deleted files in Windows. When files are deleted using the default method in Windows they are still present on the physical disk. The data can be overwritten later by other writing processes but if it is not overwritten, then this tool can attempt to recover the deleted files. It doesn''t really matter what kind of files they are either, including photos, videos, music, documents, archive formats.